Collaborating with colleagues is always an important factor in successful working nowadays. Robert and I have been sharing an Access database for a while now and we realized that using Google Drive lets us update our software in real time a practical reality. Best of all it is free! All users who want to share with me Google Drive files will need Google Drive. In this article we feature StreamLiner software, but also works with most files that you want to share. Unlike most other software, Quality Assurance Solutions software works well with Google Drive. If you have been following the recent announcements from us, you know we now offer the continuous improvement project management software 'StreamLiner'. This piece of software helps you identify and manage your continuous improvement projects without keeping lots and lots of pieces of paper floating around your business. We built the software in Microsoft Access and we test this on Google Drive, as a no cost method to improve collaboration and development. The headline: It works, and in this article I want to share with you how we did this. 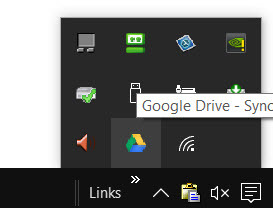 After you install Google Drive, open file manager and you will see Google Drive listed as a folder. Next place StreamLiner.mdb or StreamLiner.accdr to the Google Drive folder. I recommend deleting all other copies of this file to make sure you don't accidentally enter data into the wrong file. Secondly, you will need to share the StreamLiner file with your colleagues. You do this by right clicking on the StreamLiner file and then selecting 'Google Drive' and then 'Share...'. Please note that you will need a license for each user of StreamLiner, which you can purchase at a discounted rate once you purchase the first license. For your other database and other types of files you do not need a license. 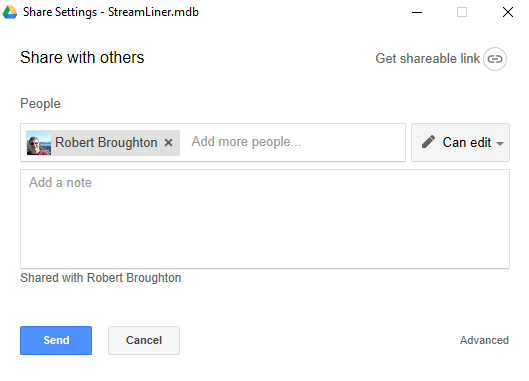 Thirdly, you need to add in the Google account usernames of the people you want to collaborate with, and then set their sharing to 'Can edit'. After completing the adding of your colleagues details you can click on the 'Send' button. 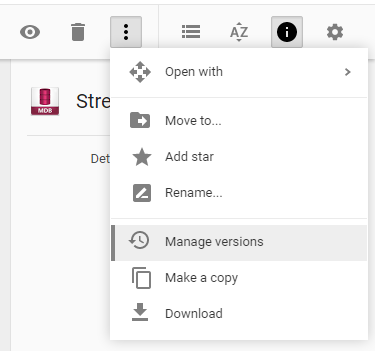 This will notify them that the file is shared and they will then be able to see the StreamLiner file in the Google Drive that is on the internet. 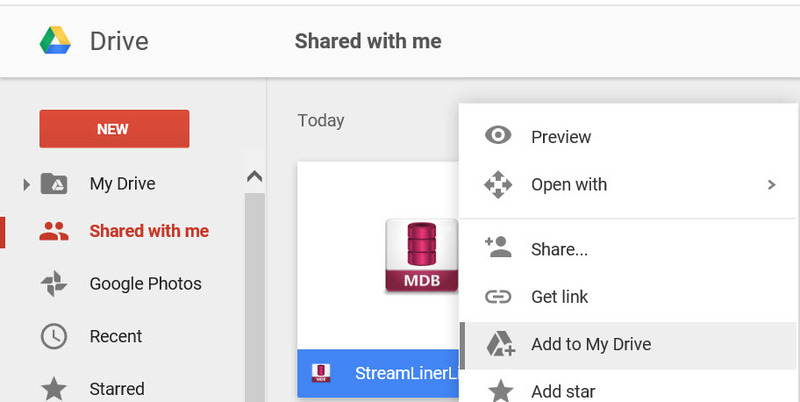 Users who receive the Gmail message regarding the shared file of StreamLiner will need to go to their Google Drive on the internet. Once there, you will see a shared with me folder. Select the folder. Select StreamLiner file, left click choose "Add to my Drive". This puts the file in your My Drive Folder on Explorer. All users can now share, add and modify the same StreamLiner data. 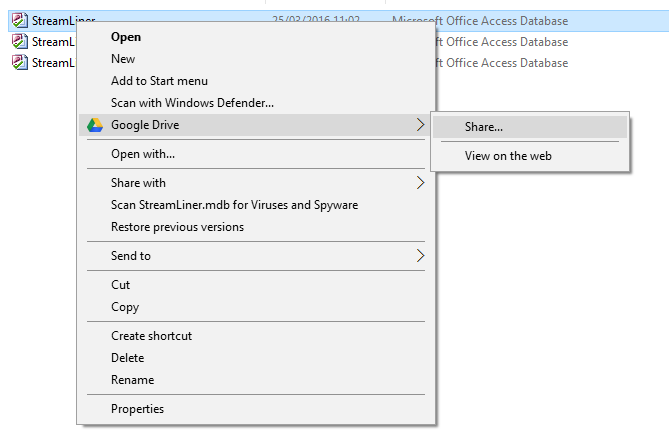 Just double click the StreamLiner file from within Explorer to open. By following this option you can find an earlier version, download it to your computer and then replace the file that no longer works. Google stores the older versions of your file for 30 days (as at the time of writing) and provides you with a route to avoid losing your data, should something go wrong. 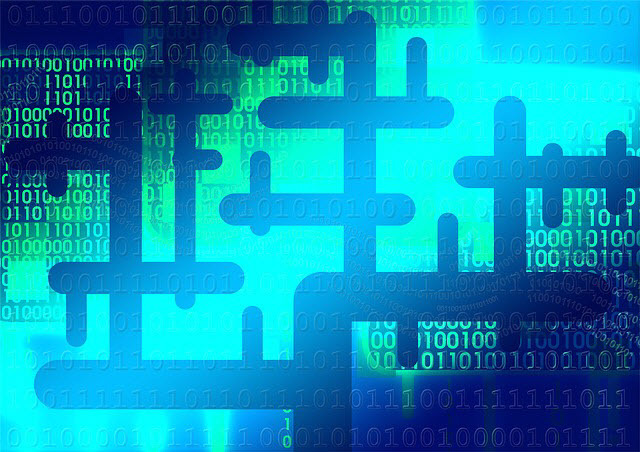 Each time you exit StreamLiner it synchronizes via the Internet (this assures your colleagues can access the right version when they are entering data).